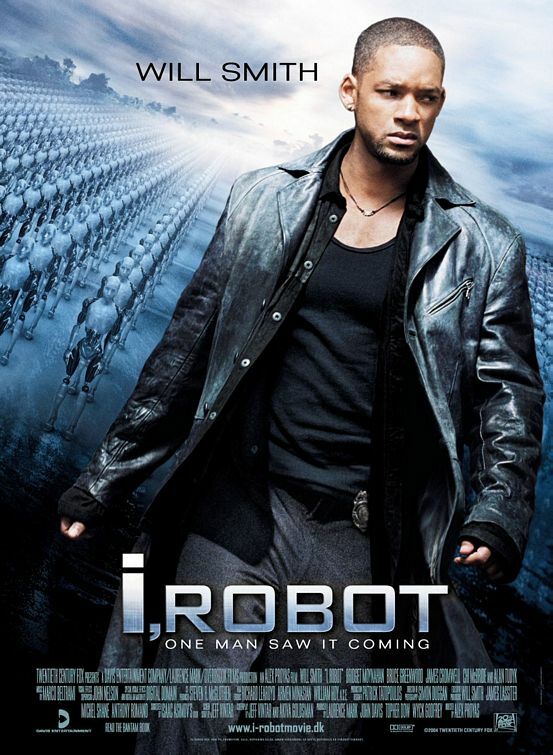 I, Robot was much better than the trailers make it look. I was expecting something like Independence Day or (heaven forbid) Men In Black II and was planning on skipping it. They focus on robots running amok in the trailer and that seems so completely opposite to anything in the Robot novels. But then I saw a good review from an Isaac Asimov fan and also discovered it was directed by Alex Proyas who did Dark City (see my review) and The Crow, both of which are movies I liked. So I went to see it and it turns out it is actually a pretty good movie. Make no mistake, it is not at all like the book. Note that the movie claims to be “suggested by” the book and not “based on” or even “inspired by”. Well, it can’t really be “based on” the book since the book is actually a collection of short stories that wouldn’t lend themselves to a cohesive movie. The short stories of the all revolving around robots and the 3 laws of robotics which I won’t describe them here—google it if you don’t know what they are. The movie sticks to this theme and poses the question pretty early: can a robot violate the 3 laws? Of course things get interesting when you get into the details of what “protecting a human” actually means. And I wont give anything away, since the movie also sticks to Isaac Asimov’s tendency to end stories in ways that you wouldn’t guess but that make perfect sense. Bridget Moynahan plays Dr. Susan Calvin, and while I remember her as being an older woman in the books, she does a great job being Susan Calvin. She’s kind of cold and precise, more like the robots she deals with than the human she is. James Cromwell plays Dr. Alfred Lanning, the inventor of the positronic brain, but he doesn’t get too much screen time. The movie had it’s cheesy parts, but overall it stuck to the principals of Isaac Asimov’s robot world pretty well. I was slightly annoyed by the many product placements that seemed completely out of place, but even with that I came out of the theater thinking it was a good movie and that my money was well spent.